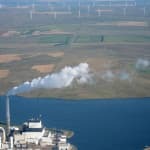 Clean Power Plan: If Montana can, why can’t Wyoming? Wyoming appears to favor litigation over actual steps to reduce carbon emissions to meet EPA’s Clean Power Plan. For Wyoming’s economy — and for the world’s climate-prone populations and environment — the market-only and no regulation approach may be too little too late. EPA's goal is to write a rule that reduces Earth-warming CO2 emissions without threatening energy reliability. The Obama administration wants its rule to avoid significant price increases for energy, and its aim is to include all fuels in the mix, including coal. So long as Congress continues to fail to address climate change through comprehensive legislation, those who care about avoiding a climate crisis are left with the Clean Air Act as one of the main tools to diminish coal’s contribution in the U.S. to climate change. 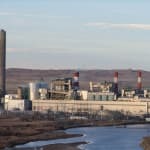 Two environmental groups are asking Wyoming regulators to revoke a key permit for Two Elk Power Co.’s proposed “waste coal” power plant in northeast Wyoming — a project that has been in the works for about 15 years with no construction on the actual power plant.